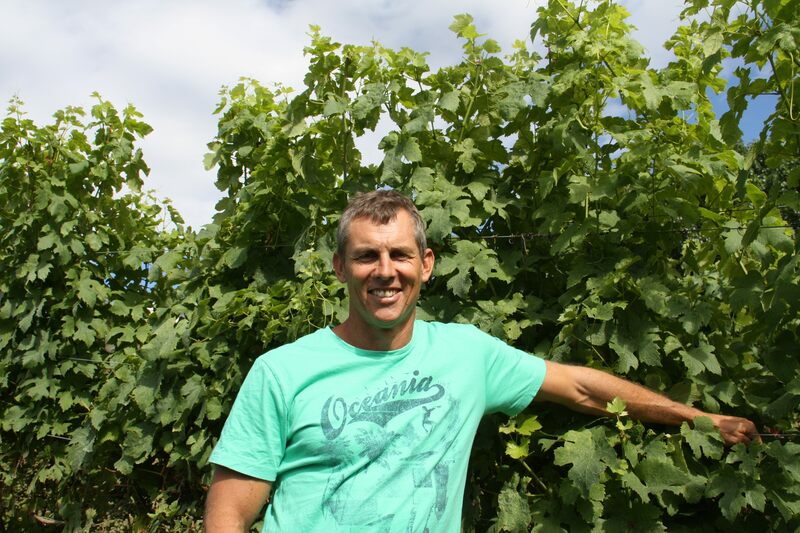 Dr John Forrest’s pioneering viticultural techniques that can control alcohol levels in grapes could open up possibilities for winemakers the world over faced with slowly increasing temperatures in their vineyards. If you were writing the cover lines for a book on climate change and the wine industry then you would not be getting too carried away by describing it as a “clear and present danger”. 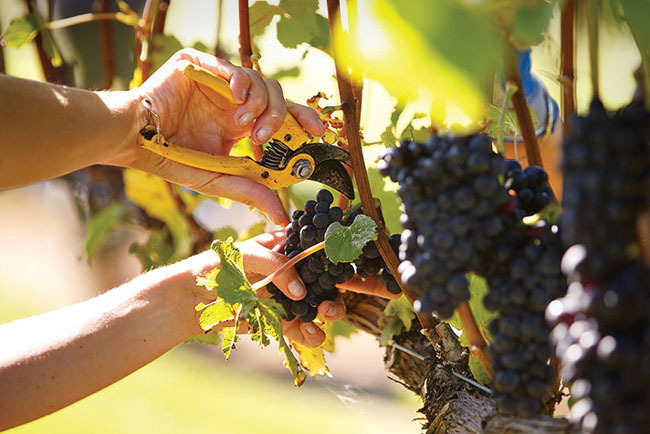 Sadly, we don’t have Jack Ryan to step in and save the day – only winemakers, viticulturists and their pruning shears. 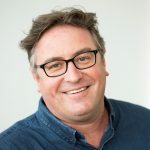 But if wineries around the world follow the lead of New Zealand winemaker and producer, Dr John Forrest, then there could be more ways to beat, or at least get ahead of climate change, than they might think. You’re not going to change how many hours the sun shines, or how many days it rains, but there are, as we have already seen, so many new techniques now being deployed in vineyards around the world to help combat changes in the weather. From picking grapes earlier, or planting different varieties, to working in the winery with cold fermentations, punchdowns and concrete eggs, the winemaking community is forever resourceful in finding new ways of doing effectively the same thing to make the wines they want to make, and their consumers want to drink. Much of the work taking place in vineyards comes down to controlling, or at least better managing, how quickly grapes mature and ripen on the vine. Which is why Dr John Forrest’s work could be particularly interesting to producers the world over. For him it all comes down to the leaf. Or how many leaves you have protecting your grapes at any particular time of the year. He has developed a new trellising and canopy management system that effectively does two things. He raises the average height of the trellis by a foot so that it is further up the vine, and then looks to reduce the number of upper leaves covering the vines from the average 14, exposing the older, yellower leaves that then become the number one protectors of the grapes. In so doing he allows the grapes to remain on the vine for as long as possible – “hang time” in winemaker speak – giving them the time to build up their flavour and vigour, but by having older leaves protecting the grapes it means they are far less active in taking in the sunshine, photosynthesising and producing the sugars that raise the alcohol levels in the grapes. The result is you end up with grapes that are full of flavour and nutrients, but lack the high sugar levels that push up alcohol levels. “To do this you have to be able to adapt to every vintage and to changes in the weather. But it is also how you can cope in warmer, hotter weather,” he stresses. 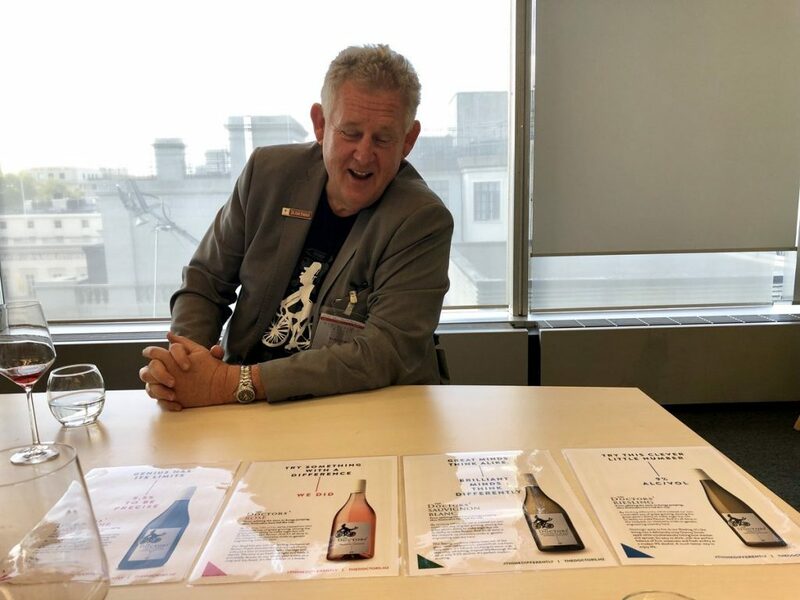 It is how he has been able to develop his Dr Forrest low-alcohol wine range that all sit at 9.5% alcohol and which are being distributed in the UK through Seckford Wines. 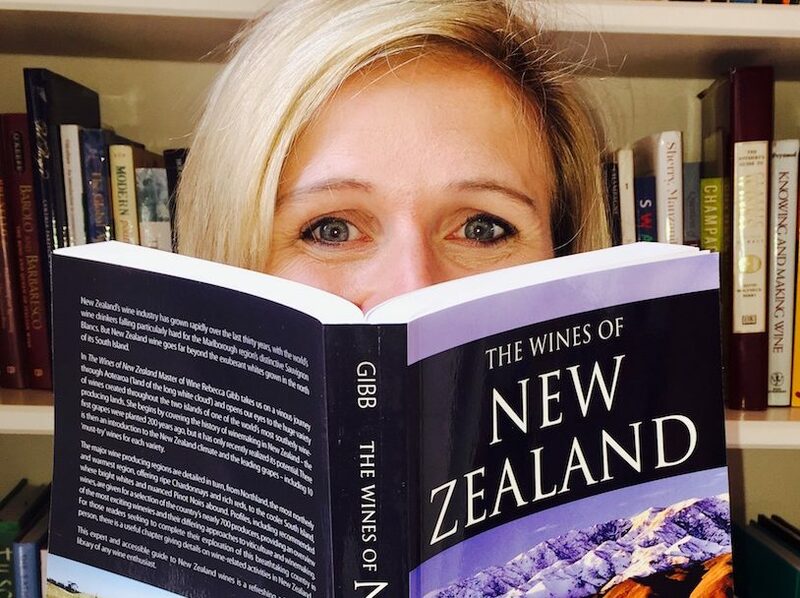 Even though his vines and grapes sit alongside all the other Marlborough wine companies producing wines with average abvs of 13% to 14%. A region that sits at the same latitude as the Douro Valley in Portugal, has on average 6.73 hours of sunshine a day, 649mm of annual rainfall and day, night temperature differences of only 10 degrees celsius. Now this has not been an overnight ‘eureka’ moment for Forrest, but the result of at least 10 years of trials, tribulations, setbacks and breakthroughs. Thankfully experience has worked wonders and what started out a decade ago trying to make an equivalent of Germany winemaker, Ernie Loosen and his Kabinett Riesling style, has evolved, vintage after vintage, with a better understanding of how vines work and what difference he, as a winemaker, can have on how grapes mature, and work with sugars and alcohol levels. Crucially, he says, it is looking to the vineyard for all the answers and not the winery. Yes, there are plenty of low and no-alcohol wines on the market, but up to now they have had to use expensive spinning cone machines to bring the alcohol levels down. This, says Forrest, is a “no cost solution” to producing low-alcohol wines. Which for Forrest does not mean trying to get down to below 5% in order to hit favourable duty and tax breaks. For him just getting below 10% is the sweet spot when it comes to producing a low-alcohol wine that actually tastes of, well, wine. “I can remember one morning lying in bed with the wife, and saying to her that if I can find a way to make a 9.5% wine then I will make you a rich woman,” he recalls. He might not be all the way there yet, but admits he has been able to buy a new house and car in the last year, “so we’re on the right track”. Crucially Forrest is all about lowering alcohol levels, but he does not want to do the same with the price of the wine. All the 9.5% wines in his range are aimed at the mid to premium brackets. In the UK, for example, Tesco is selling its Sauvignon Blanc for around £8.99, Waitrose the same, and Marks & Spencer is selling them under its own label for £11. You only have to look, he says, at the market data and drinking behaviour across all age groups that there is a strong demand for alcohol products that allow consumers to regulate and moderate their drinking and are prepared to pay for premium products to do it. 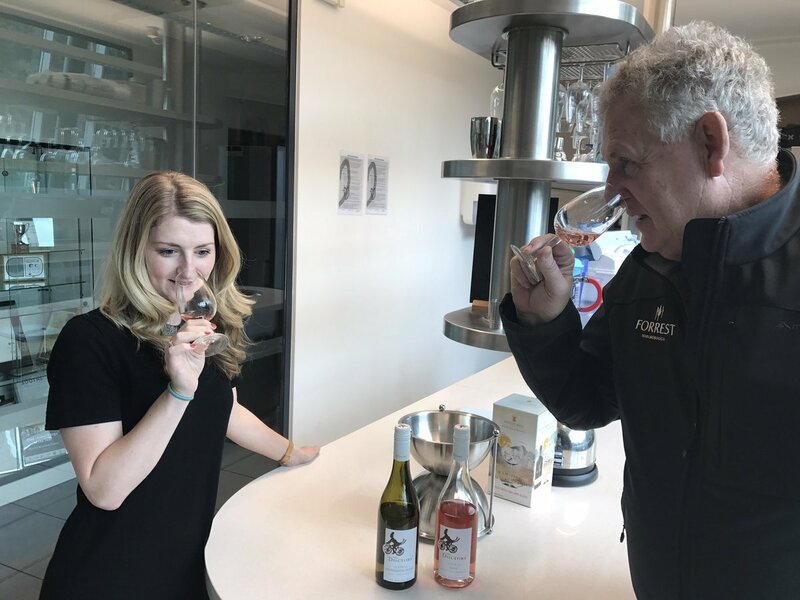 To do so means making a quality product and there is no doubt tasting through the Dr Forrest range that he has achieved that key balance between mouth feel and fruit, with enough structure and tannin in the wines to give them depth. So much so that he is confident experienced tasters would struggle to pick out the 9.5% wine in a blind tasting line up. With a Sauvignon Blanc under his belt, the next challenge was to do the same but with red grapes. First up was a rosé, which somewhat fortuitously saw Forrest add a significant percentage of Arneis fruit he has on his property to the core 80% Pinot Blanc. That, he says, gives the wine the backbone and the palate the wines need to succeed. Producing a standalone Pinot Noir has been three years in the making and an important “learning curve” for Forrest and involved lots of work in the vineyard getting the canopy and leaf management just right to allow the grapes to mature, but not too much. Working with the rosé has also given Forrest that added experience to know how to handle his Pinot Noir grapes. 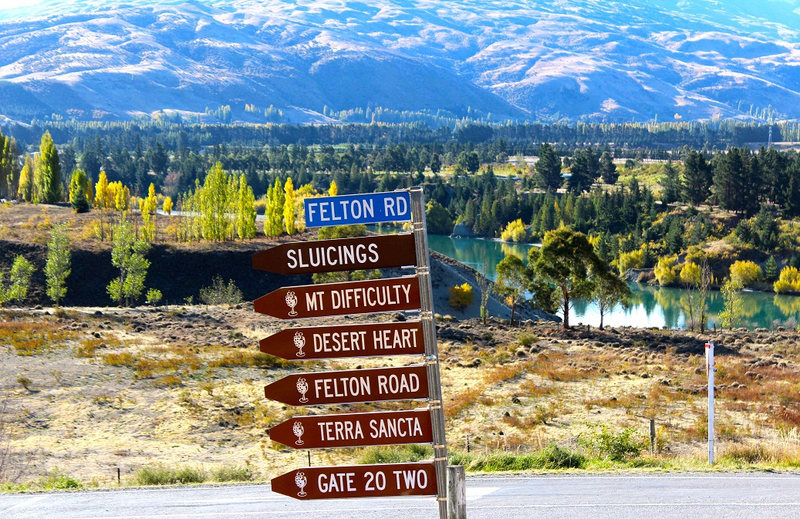 Forrest’s initial intentions was to create a low-alcohol brand that was best suited to the wines he can make in New Zealand’s Marlborough wine region. But he is also quite aware of the ramifications his research and techniques could have for producers and wine businesses all over the world. 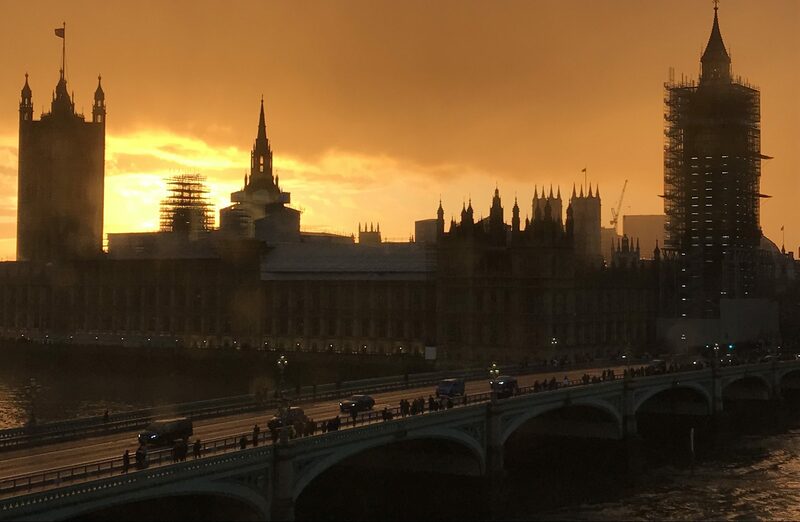 As news of his wines grows, so has the phone started ringing from quite considerably sized wine businesses intrigued to know what it might mean for their companies. 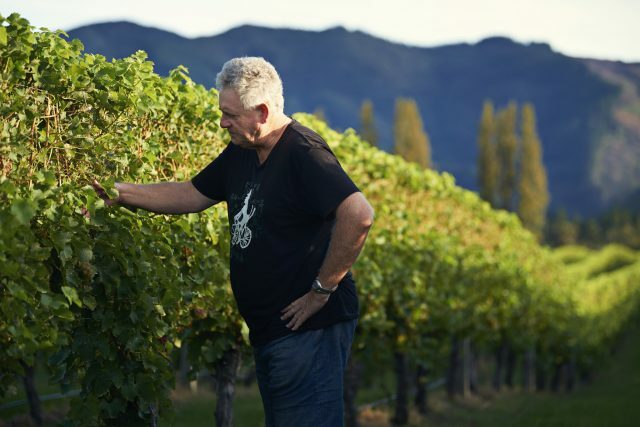 Forrest’s work has also become a key part of the New Zealand Winegrowers Lighter Wines Initiative, a combined effort involving the industry’s generic bodies and other leading winemakers to see how they can collaborate and work on future projects together with the intention of making New Zealand the lead force in the world in low-alcohol wines. Driving a low-alcohol strategy is now seen as paramount across all the major multinational drinks companies, from beers to spirits to wine. All the major brewers, including AB InBev, Heineken, Carlsberg, have all set out goals and targets that a set percentage of sales will come from low or no-alcohol products within five to eight years. AB Inbev has set its bar at 20% by 2025, and currently sits at 10% of volumes. It has even introduced its own ‘chief non-alcohol beverages officer’ to help hit that target. Heineken, for example, has committed to spend 25% of its marketing budget on promoting its new 0.0% beer in any country that launches it. 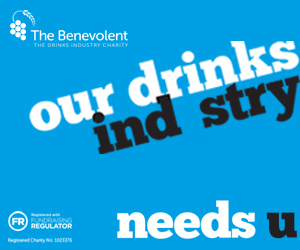 Noticeably the underlying message about what the big brewers are doing with major brands such as Budweiser and Heineken is to put the emphasis on taste, and how the low-alcohol is all about taking out the sugar. The same as Forrest, but working with hops and barley rather than grapes. 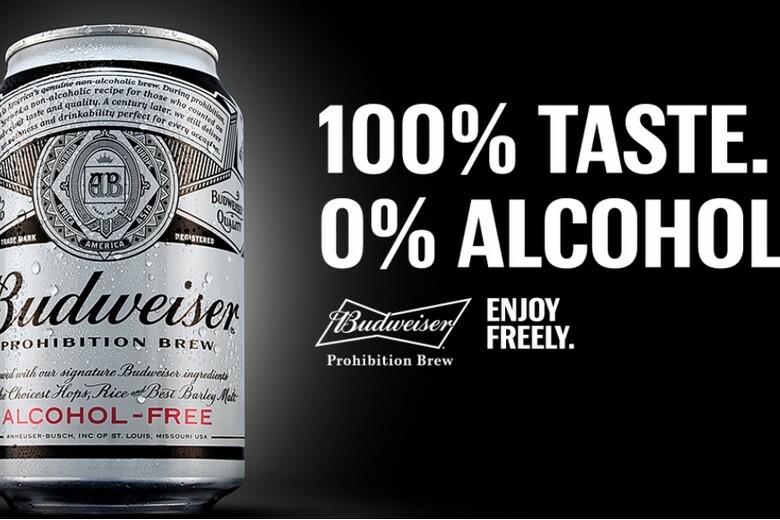 Budweiser’s core advertising campaign for its alcohol-free Prohibition brew is “100% Taste. 0% Alcohol”. Ilaria Lodigiani, head of global marketing innovation for Heineken, told advertising magazine, Campaign, earlier this year that its strategy was to appeal to those drinkers that still like drinking beer, but just want to moderate how much alcohol they are consuming. So its new 0.0% beer is clearly very low in calories and low in sugar too. “The consumer mindset is changing quite a bit – they’re looking for 100% natural products, but with less sugar, less alcohol,” she stresses. 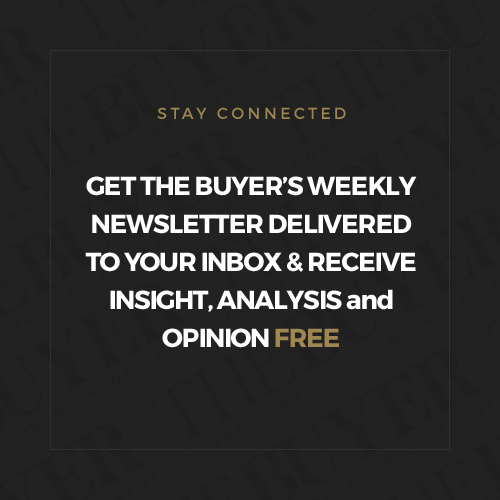 “Beer is now adapting to our lifestyles, whereas in the past our lifestyles adapted to beer,” adds Christian Purser, chief executive of brand experts, Interbrand. Which is very much where Forrest and his breakthrough Dr Forrest wines are coming from in wine. 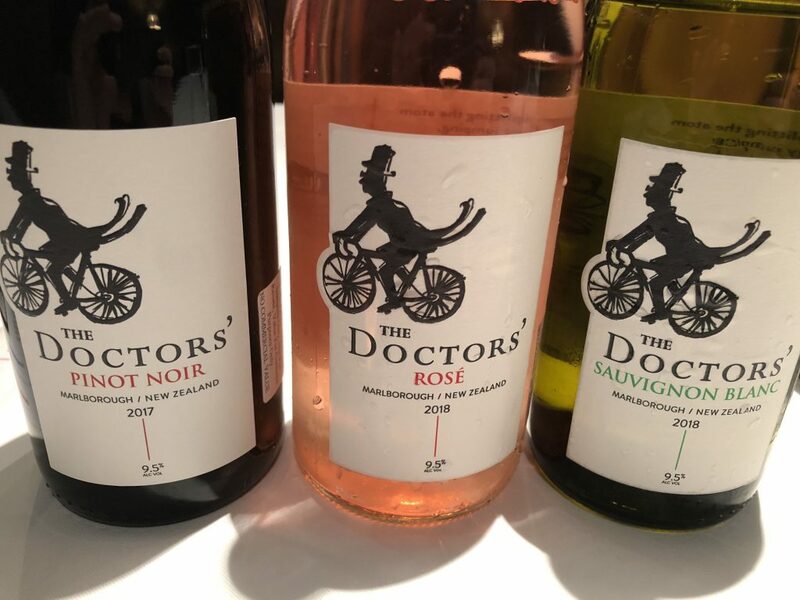 The Dr Forrrest wines are available in the UK through Seckford Wine Agencies.